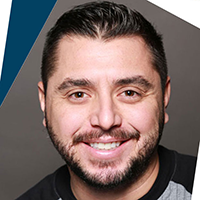 Infantryman turned Entrepreneur, from Grunt to President & CEO, Noah Ruiz from Chandler, Arizona, Built Skynetwest, a sustainable enterprise from the ground up with a small team of skilled and detail-oriented visionaries to become one of the standards in the UAS industry. His Mission is to create and implement the most innovative and technically advanced UAS applications to improve the safety and security of Americas Infrastructure Inspection Program. Noah is the Founder of Skynetwest, a team of Data Retrieval Specialists collecting high value data for Asset Digitization. His Vision is to contribute to the back bone of the UAS industry by building efficient and effective operational criteria to Inspect Americas Infrastructure. By design, we want to improve the health and wealth of one of the most valuable assets not only in this great country but across the world by using UAS technology to build a better world for tomorrow, from the sky down. From Managing the business to advocating for the industry, Currently Adjunct Instructor for the Unmanned Vehicle University, UAS Industry Advisory Board member for Arizona State University Aviation Program, Noah is determined to continue to establish standards for Safe, Legal, and Professional UAS Operations for all those who can benefit from the technology.